Know your measurements. I cannot stress this enough; it is imperative to know your bust/waist/hip/inseam. You will not get the proper fit without knowing your measurements. A closed mouth will not get fed. Don't be afraid to message the designer and ask questions about fit, fabric, etc. This is the one of the perks of shopping indie: you can inquire about items and make special requests, unlike with mass market shopping. Be honest with yourself regarding fit. If your bust is a 2x/43 and you order a 1x/40, please do not expect the item to fit. Why purchase a smaller size, knowing it most likely won't fit, when you can order your true size and the item fit well? Expect to pay more. This is most likely my biggest gripe with plus size shoppers...constantly complaining about items being "too expensive". You want a dress that is not mass produced, unique, in a quality fabric, that will fit your size 20/22/24 body, ALL for $20??? Stop the madness and perhaps do some research on how much fabric costs on clothing not from Forever 21 or Rainbow. Lastly, have fun shopping and make sure to support indie plus designers. 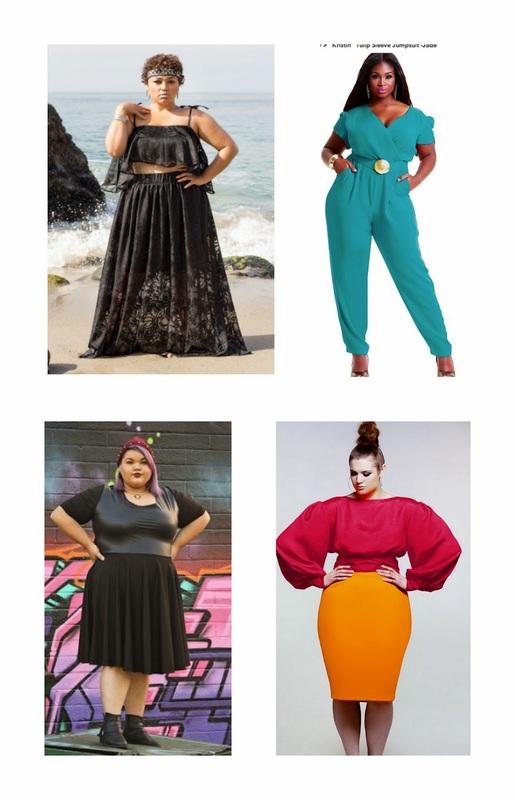 Many of these designers are plus size themselves and understand the difficulty of finding well made, unique clothing items in OUR size.